Rustic Stool - White x White - Antique and Fine Decor for the Home. 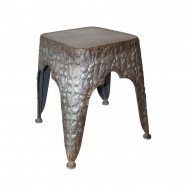 Vintage inspired rustic stool has an embossed design and is made of lightweight iron. 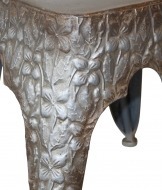 May be used as chairs at a dining table, or as an accent table. 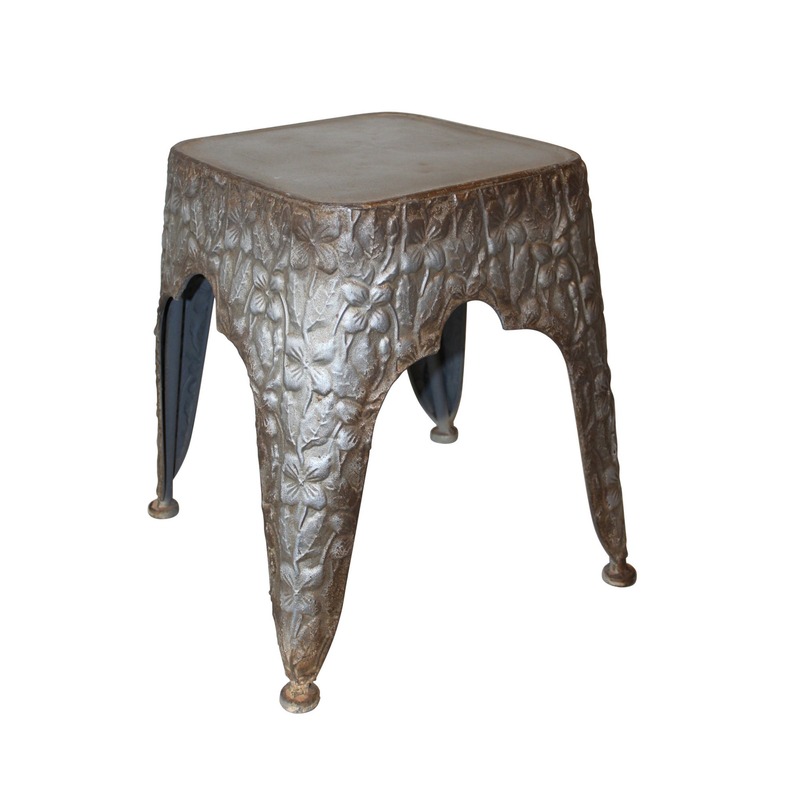 Aged silver with rust patina. Must be ordered in multiples of 2.